Dont paint it, powder coat it, or anodize it. Ride it, test it, and then make or change all things you dont like. What you see are original bends 4'' apart centered over 3'' channel. Ugh. Time to put it in a press and X it making it straight again. Going to add a stress plate/spine down the middle as was advised to me earlier. I really wasn't expecting this to happen This soon. Live and learn, it's got me thinking again. Pros/Cons to TIG Welding this machine together? Or is that mainly a connivance of breaking it down for easier travel? I also was digging around and like the thought of this if/before I decide to weld. PS: Still in testing. And now I know what you guys were talking about before with the bars affecting steering. Thanks. Drive fast, and take chances. It's the sudden stops that get ya! DefectiveProduct wrote: Live and learn, it's got me thinking again. 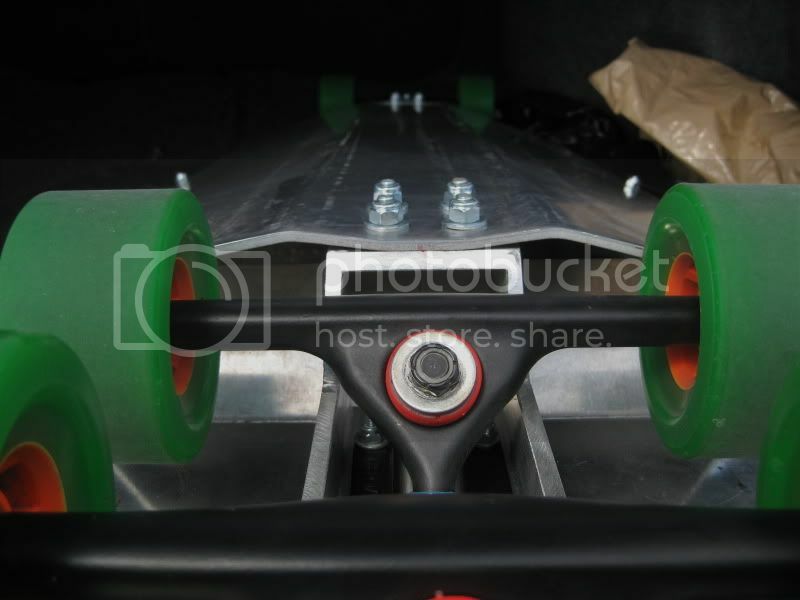 BUT Once i bolted the rear end on, I found the board fits perfectly in my snowboard bag. So I've never taken it apart. Personally I'd probably lean towards welding it. But I don't weld, so it is an added expense. Like Chris I built my luge to bolt together so I could disassemble it in order to travel. However I now have a snowboard bag and it fits in fully assembled. But being able to be disassemble makes it easier to modify later on; I don't plan on welding together any of my luges.